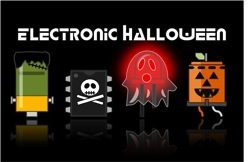 Candy Sorter with Raspberry Pi #ElectronicHalloween « Adafruit Industries – Makers, hackers, artists, designers and engineers! Need to sort the junk from the gold? Have a certain candy you hate? 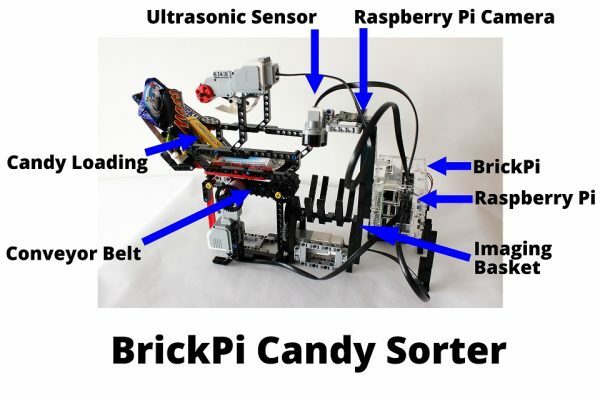 Fear not, the BrickPi Candy Sorter is here to help! In this tutorial we’ll harness the powerful Google Cloud Vision, the BrickPi, the Raspberry Pi, the Pi Camera, and a pile of LEGO bricks to build a machine to find what you want (and don’t want) automatically! After you run the BrickPi Candy Sorter, you’ll have a pile of candy you want, and the junk you can give your little brother. First, we’ll make a python list of the candy we like and a list of the candy we don’t like. After we fire up the python program, you’re going to dump your unsorted candy into the machine. 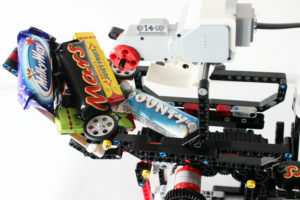 The individual candy bars will be sorted onto a conveyor belt. The conveyor belt dumps the piece of candy into the imaging basket.